Photo by Taelor Martinez of Midtown Ruidoso with Sierra Blanca Mountains in the background. There is a flag on the photo mentioning to use the lodging tool on the home page. Photo by Dawson Russell of an aerial view of Ruidoso Downs Race Track in Ruidoso Downs, NM. The sky in the background is a beautiful painted sky with blues, yellows and oranges with sunshine rays bursting from the horizon. More choices for outdoor fun in Ruidoso. Search Ruidoso in the App store! Visit Ruidoso, New Mexico, an enchanted mountain oasis. First settled by the Mescalero Apache, the area was named Rio Ruidoso by the Spanish, which literally means “Noisy River.” Deeply rooted in Native American culture and influenced by the early Spanish settlers, Ruidoso continues to maintain its rich history, combined with the amenities of a world-class mountain resort. Ruidoso is a quaint village in the rugged Sierra Blanca Mountains, with a wide variety of activities for any traveler. It makes for the perfect weekend getaway or a weeklong visit for travelers from Texas, Mexico and beyond. Its central location is a perfect base-camp for exploring all of Southern New Mexico. Ruidoso is in close proximity to Carlsbad Caverns, Lincoln National Forest, and White Sands National Monument, just to name a few. Ruidoso is truly the year-round mountain playground of the Southwest, offering something new to explore each season. Relax in the beauty and serenity of the mountains while staying at one of the many lodging options which include cozy rustic cabins and comfortable hotels, as well as luxurious lodges and resorts. You can also explore the natural wonders and beauty of southern New Mexico. Nothing beats horseback riding, hiking and camping amid beautiful alpine forests, and scenic mountain views. Enjoy the many restaurants in Ruidoso featuring authentic New Mexican cuisine! Additionally, there is also local craft beer with tasting rooms, local wineries, and coffee shops in the village. Treat yourself to an inviting hometown café, enjoy an upscale dining experience, or revel in the family fun and entertainment of the Flying J Ranch. Experience the thrill of racing down 8,900 feet on the Wind Rider Zip line at Ski Apache, which is one of the longest zip–lines in the world. Additionally, in the summer the ski resort is transformed into a mountain biking mecca. For the less adventurous travelers, win big at the Ruidoso Downs Race Track, or place your bets at the casinos – Inn of the Mountain Gods, Billy the Kid Casino, and Casino Apache. 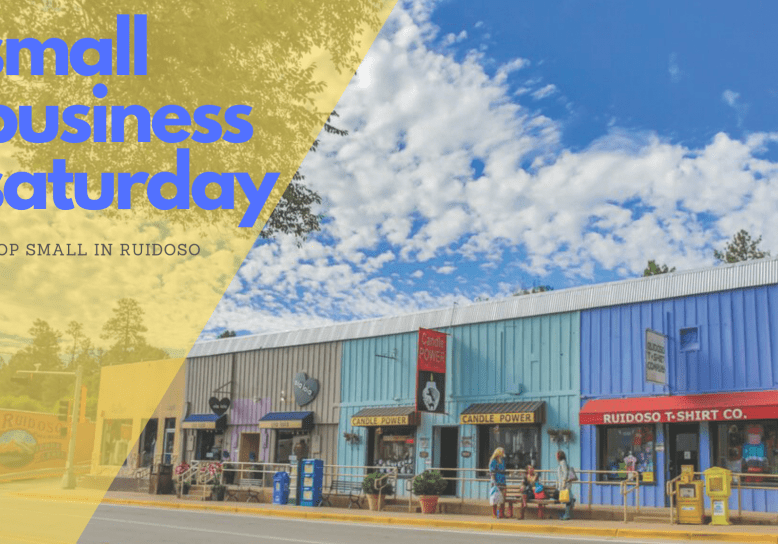 You can stroll the streets of Ruidoso while seeking out those unique finds in the Midtown shopping district or take home a piece of local history when you visit one of the many antique and Native American shops that offer rare cultural pieces. Take time to browse local art galleries and attend world-class performances at the famous Spencer Theater of the Performing Arts. There are rich histories and cultures throughout the surrounding area. You can visit many historic and cultural attractions. Discover the Old West where Billy the Kid roamed in Lincoln County, Fort Stanton, and Fort Sumner. Also, you can experience the ancient cultural traditions of the Mescalero Apache tribe. Celebrate your special events in Ruidoso, no matter the occasion — wedding, reunion, retreat or conference. A special event calls for a unique destination. 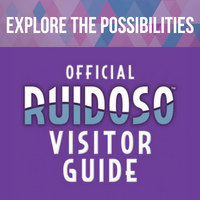 So, use the Official Ruidoso Visitor Guide and VisitRuidoso.com to plan your next trip! Download the official Ruidoso Visitors Guide App!